Specialist search teams from Cambridgeshire SAR have been drafted in to help with the hunt for a man who could be seriously injured after leaving the scene of a crash which killed two people near Peterborough this morning. Police are appealing for the public’s help to locate the man they believe was involved in a serious collision which has killed two people on the A605 at Elton this morning (Sunday). 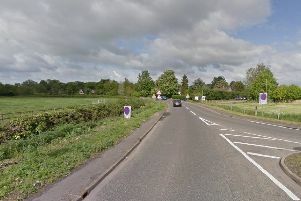 Police were called at just gone 2am with reports of the collision involving two cars.